Who says healthy can't also be delicious? Reap all of the health benefits associated with heart-healthy nuts while still satisfying your sweet tooth at the same time. 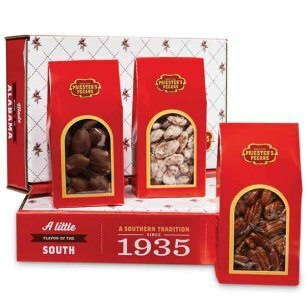 Enjoy our assortment of fresh, Southern Pecan treats that are completely sugar-free! There's no better way to indulge than with our sweet snacks, and with none of the guilt. 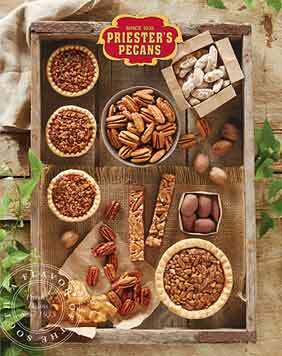 Try our mini pies, chocolate coated pecans, pecan clusters, and pecan roasted syrup. You won't believe how these sweet and delicious treats could have no sugar added to them. These make a perfect gift for anyone health-conscious, or you might want to keep them for yourself. You deserve to treat yourself and others to these delicious, yet healthy snacks and desserts. Since 1935, we've been devoted to delivering you with the freshest and finest pecans available.